The perfect package for athletes looking to prepare for a goal race or take their race performances to the next level through individualised coaching and would be able to attend UP Coaching weekly training sessions regularly. The perfect package for athletes looking to prepare for a goal race or take their race performances to the next level through individualised coaching but would be unable to attend UP Coaching weekly training sessions regularly. Phone consulting services for race-specific or program and training expertise. For individuals or groups wanting to explore the great Australian outdoors, whether for fitness or for course familiarization. Covers entrants for Ultra Trail Australia races, Six-foot track, Running Wild events and other courses Australia wide. For individuals wanting an assessment of Running Form with Gait analysis, technique and running strength assessment. Utilising video analysis, biometrics and expert analysis. All coaches are currently coached or have undergone a period of coaching under Brendan’s guidance and all athletes’ progress is overseen by the Head Coach together with their coach. The perfect package for athletes looking to take their performance to the next level through ongoing individualised coaching and would be able to attend UP Coaching weekly training sessions (Sessions in Penrith and Lower Blue Mountains). This package suits both athletes who are training up for a major race and athletes who race all year round. Ongoing analysis and feedback on your training with adjustments if necessary via TrainingPeaks Premium Account (included in the package) from your Coach. Technique feedback, video analysis/modification plan if necessary. Pre-event preview or post-event review sessions. Clients gain access to Private UP Coaching Facebook Group where coaches share advice, provide support and help motivate each other towards our goals. Along with special perks, running events, workshops and more. The perfect package for athletes looking to take their performance to the next level through ongoing individualised attention but would not be able to attend UP Coaching weekly training sessions (suitable for Clients outside of Western Sydney). This package suits both athletes who are training up for a major race and athletes who race all year round. Technique feedback, video analysis/modification plan if necessary (done via online means). The Premium Coaching Packages (both Local & Online) offer a high level of ongoing guidance and support. Consequently, commitment and compliance from the client is crucial. As such, there are a number of steps to ascertain the fit between you and the Premium Coaching Packages. Completion of Initial Assessment Form which provides an overview of you as a runner, your running background and history and your future goals/aspirations and motivations for coaching. On review of this form, a discussion with the potential athlete occurs in which athletes are informed of their selection, their coaching options and are advised of their coach. While your preference is considered, choice of coach is also based on locality, compatibility and availability. There is a limit of Premium Coaching Athletes to ensure individual attention is maintained and the workload is manageable for coaches. Once capacity is reached, future athletes will be placed on a waitlist and offered spots once available. If you require help with race-specific training and assistance with your running journey but don’t require the 1:1 or online coaching then this will suit your needs. As individuals needs vary the costs involved are case by case, however, individuals will either buy bulk time or blocks of time that will be used within their running journey and billed prior to commencement. Training that can be one-on-one or in a group setting, with areas of focus as negotiated with Brendan. For those wanting to improve technique, learn specific skills, master difficult training sessions or learn race specific skills. If you have a group of fellow runners who are looking to apply themselves in the same aspect, contact Brendan and see what kind of group training can be tailored for you. From beginners Unleashing Potential to more experienced runners looking for their Ultimate Performance. UP Coaching can tailor a trail running session to suit your needs. Whether you want to experience some spectacular Blue Mountains scenery and wildlife, or have a specific trail you want to run, we’d love to guide you for your day in the great outdoors. If it’s just one day or many, we can make it happen! During the run, Coaches will provide athletes with trail running tips and a history of the region. Katoomba and of course the Blue Mountains! Equipment can be provided upon request, free of charge. This may be a good opportunity to try some new gear out, thanks to our business sponsors. Contact Brendan at brendan@upcoaching.com.au to discuss your options! UP Coaching can provide a 1:1 Running assessment to help you with your running form. Coaches will utilise technology and experience to highlight areas to improve your running and get you moving with efficiency and correct technique. We will video and take a Gait assessment and provide Pre and Post feedback through complex video analysis of your running ability. 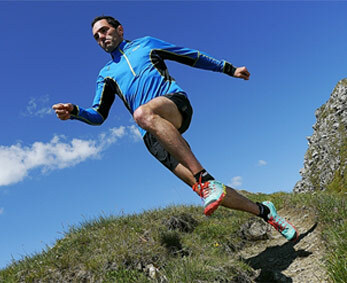 We also provide training plans to suit most major trail and road running events. Parkrun is a brilliant initiative and here at UP Coaching we love this concept. Athletes regularly attend parkrun for a tempo or time trial session which includes a thorough warm up, tempo paced 5km and cool down. Some athletes will run extra distances at tempo pace after the parkrun, for example those training for marathons and longer. Parkruns are a great way to practise racing too! It gives you the opportunity in a relaxed, supportive environment to practise your racing and hone your pre and post race routines. 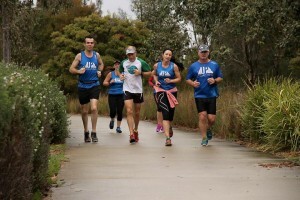 UP Coaching athletes regularly attend Lawson parkrun (trail), Penrith Lakes parkrun (road/cross country and The Ponds parkrun (road). Coaches are regularly in attendance to help and support athletes. There is no charge for the Saturday parkrun sessions. Please add UP Coaching as your ‘Club’ during the registration process. There is no charge for the Saturday parkrun sessions as this is a Free Global Health Initiative. No need to preregister! Simply turn up, check in and join in. Contact Brendan at brendan@upcoaching.com.au if you would like to know any more information.